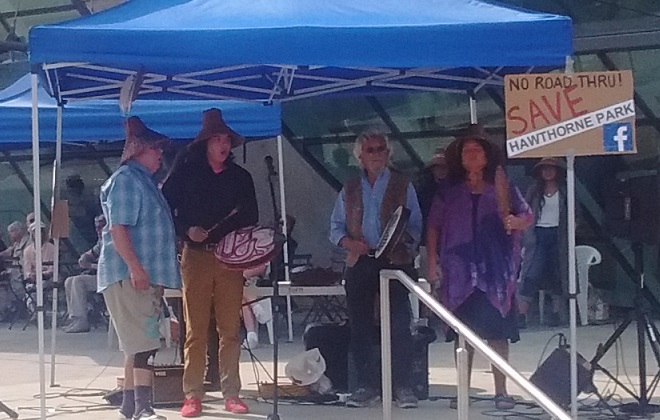 Today David Suzuki came to Surrey to speak at the Save Hawthorne Park rally outside city hall. He joined the First Nations drum circle and they presented him with a traditional blanket filled with prayer songs to give him strength to fight the good fight to protect the environment. 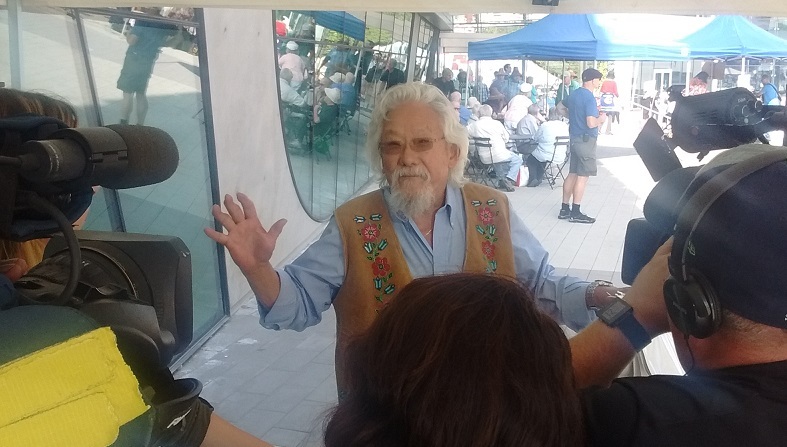 In the media scrum David Suzuki applauded the City of Surrey for endorsing a declaration recognizing residents “Right to a Healthy Environment." He then asked are they now living up to that comitment? 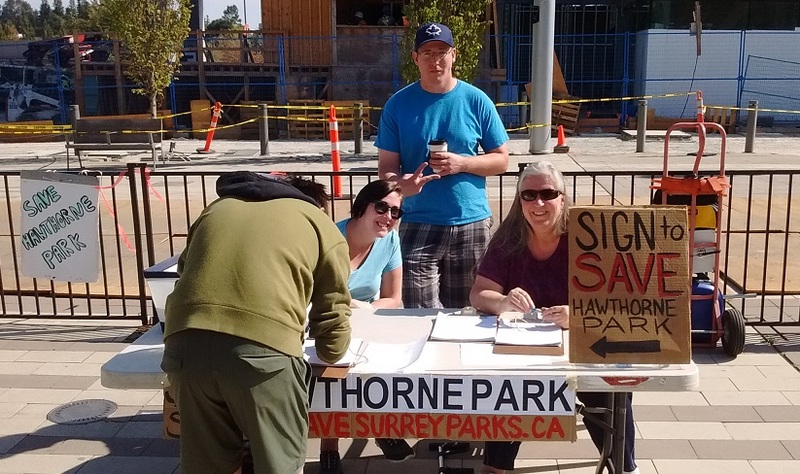 He admitted that he's not from Surrey and is not aware of what's happening at Hawthorne Park. Well I am. Let me explain it to you. 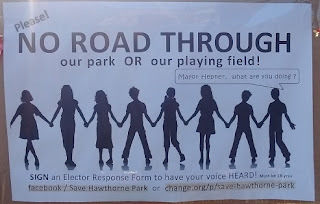 This isn't just matter of saving a couple of trees nor is it a matter of opposing development. It is about opposing an insane plan to put an on ground railway from Guildford Mall to Surrey Place Mall along 104th Avenue. 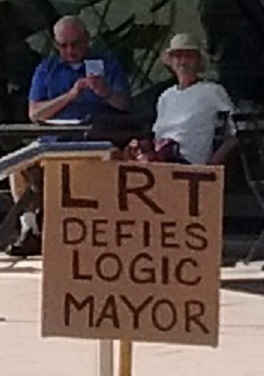 This railway is something the residents don't want or need. Aside from being an unnecessary waste of money there is no room for it. 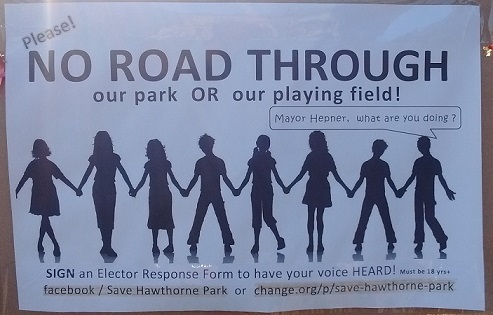 That is why they are trying to cram a road through a park, playground and school. Reducing 104th Avenue to a single lane of traffic is insane. That is a move backwards not forwards. 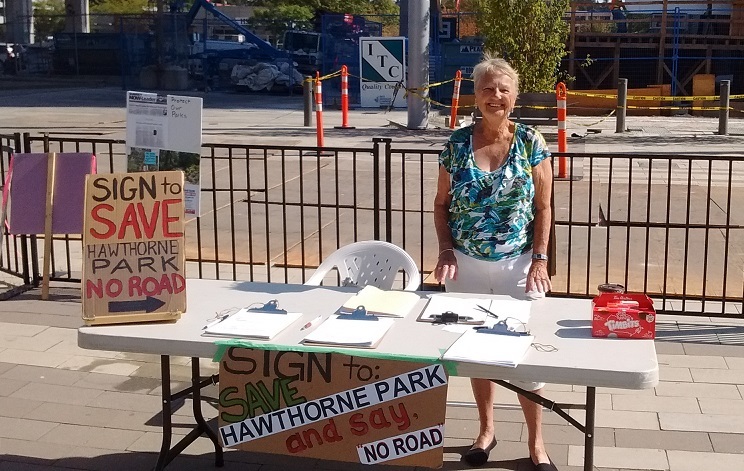 If you visit Hjorth Road school on 104th Avenue and 148th street you will see how insane this plan really is. Schools and parks are protected by provincial legislation. 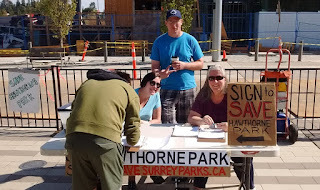 Instead of holding a public referendum the city of Surrey has come up with an alternative process where the residents are required to get 30,000 people to fill out forms opposing the deregulation of the park status. This is wrong. Parks are protected. 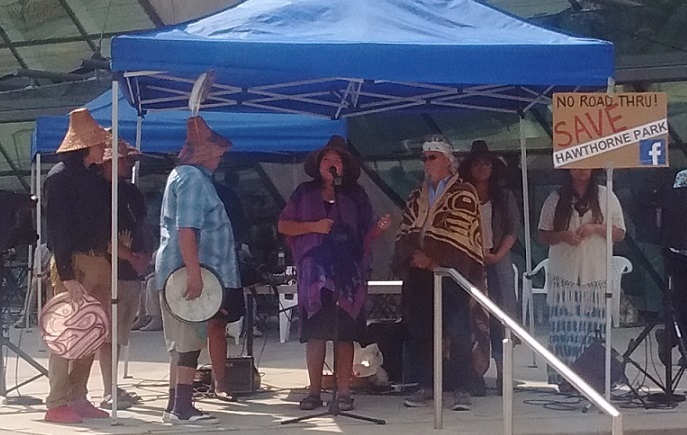 The City of Surrey has thrown that away. 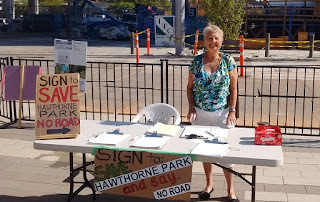 If it can happen to Hawthorne park it can happen to any park in the province. Surrey used to be known as the City of Parks. Surrey First got rid of that motto. You dont hear it being used any more. That's because they paved paradise and put up a parking lot. Fill out the form but object to the process and elect a new mayor. Hey ho, Linda Hepner has gotta go. Great summation of what's happening/happened. Thanks for the post. It's great to see that Global, CBC and Peach Arch News finally picked up on the story. People are finally starting to see through Linda Hepner's insanity. was actually surprised to see the MSM carry this. On the other hand perhaps they are catching on that people don't like the things Linda and her louts are doing. Park land that we currently have ought not to be used for anything but parks. In 50 years the population of the lowermainland will have vastly increased and every inch of park land will be needed and used. 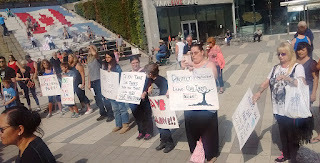 No level of government ought to be selling off park land or using it for other reasons than as parks.